Shout-out to our buddy and CBSI member Agustin Santos. 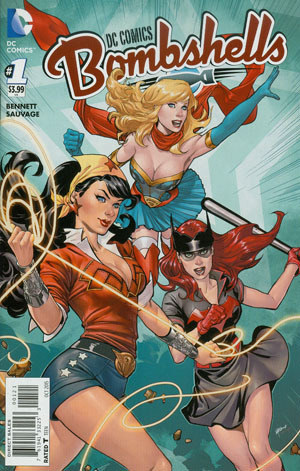 Earlier in the week in the G+ pages he said that he couldn't believe people were sleeping on the DC Comics Bombshells #1 1:25 Variant. He couldn't have been more right!! Earlier today copies dried up on eBay and are reaching the magical $40-50 dollar mark on eBay. Lupacchino is a budding superstar artist, and this cover works on multiple levels. I highly doubt stores went big and bought this title after what happened last year. Most people weren't aware this title was a stand alone to begin with. Bombshells set on shelves well into the winter and weren't near the hit DC and retailers had hoped, so this book definitely snuck up on us. Buy if you can find one still, and it it's under half a hundred. 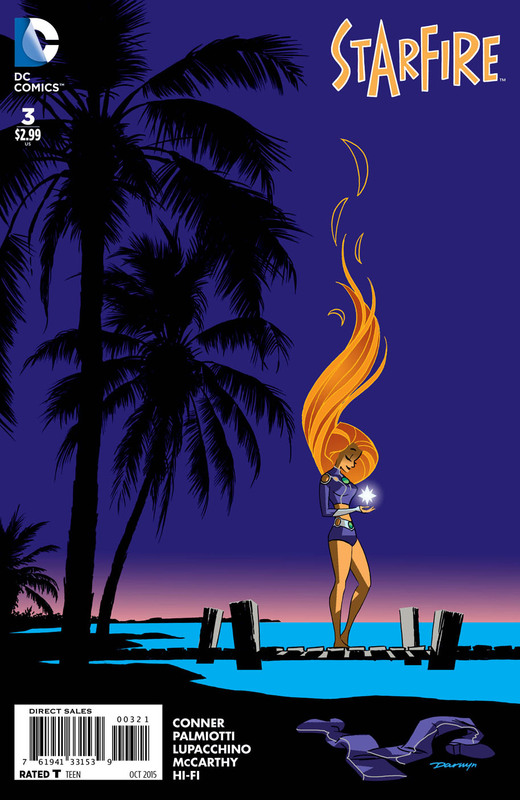 Don't sleep on the Starfire #3 Darwyn Cooke variant as well. It's going pretty crazy right now, and it's beautiful and simple. Lupacchino has been knocking it out of the ball park this past few weeks with some sweet variant covers.